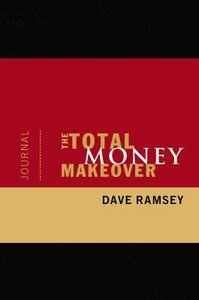 When Dave Ramsey was experiencing his own Total Money makeover, he found that journaling was very helpful and effective. Dave says, "Take this journal and record everything happening that seems like a big deal. Record the relationship issues, the debt, the emotions, the setbacks, the victories, and anything else that seems important at the time. "The immediate benefits of writing everything down are twofold. First, writing helps you process the problems and victories. The second immediate benefit of journaling is that you can reread your entry just days-even months-later and gain vital perspective on your progress. "Write it down. You will be glad you did." About "Total Money Makeover Journal"